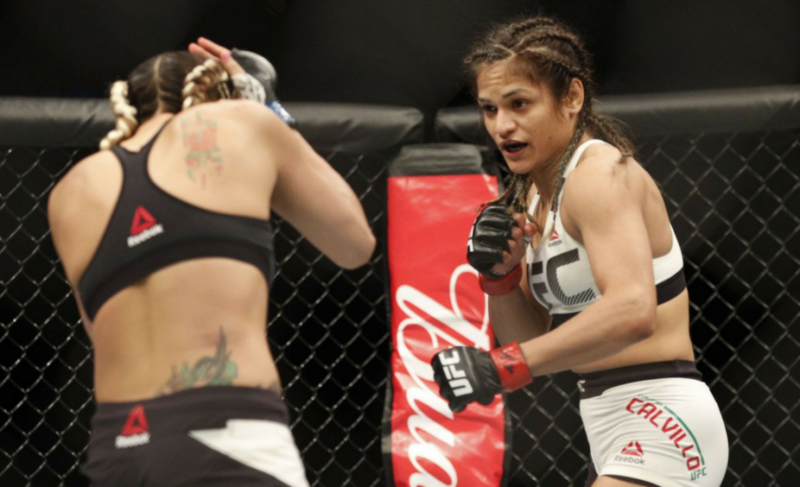 Can Carla Esparza end the Cynthia Calvillo hype train at UFC 219? 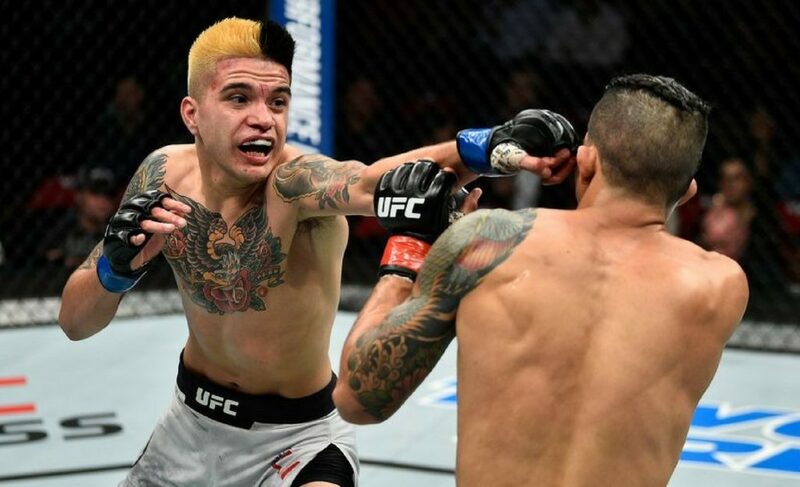 We sat down with Benito Lopez as he chronicles his road to the UFC, and discusses his plans to turn up the action in 2018. Benito ‘Golden Boy’ Lopez has been a terror within the regional California MMA scene for quite some time now. As he developed his craft over the past 11 years, training diligently since the age of 12, Benito feels like the hard work is finally paying off. When you look at the trajectory of his career in the short amount of time he’s been fighting professionally, it’s hard to dispute that claim. Upon turning pro, Benito had to make a change of scenery as he felt his game was plateauing at his former camp, MMA Gold. 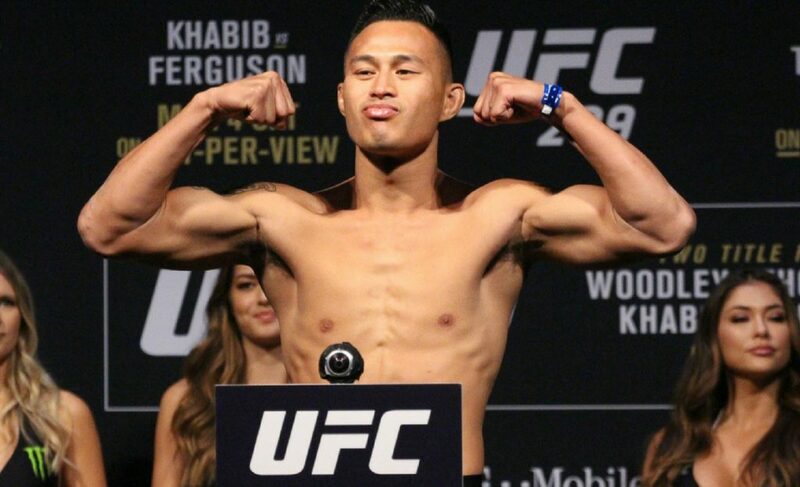 At the time, Team Alpha Male was a rival, but his connections within the team through the likes of Andre Fili made the switch possible after certain ‘political issues’ delayed the move. Benito referenced his transition to training with top talent day in and day out was crucial for the growth of his game. After compiling a 7-0 record across multiple promotions like WFC and KOTC, Benito got his chance for UFC stardom as he was called up for Dana White’s Contender Series on four weeks notice. And take it he did. Benito Lopez went on to put a hell of performance where he showed heart, endurance and technical ability in a heated three rounds of action. Lopez was one of the few fighters to earn a call-up to the UFC without that highlight finish, but the tenacity shown in the cage was more than enough to put him over. Benito’s first official UFC fight came with a little baggage from the past. Benito was slated to fight Albert Morales once before at WFC, and the bad blood between the two fighters was at an all-time high during fight week. Morales made it personal via Twitter as he made some unsavory comments towards Benito, and the ‘Golden Boy’ was having none of that going into the contest. Adding on to the pre-fight dramatics was Lopez’s subsequent $1000 dollar fine at the hands of the CSAC for pushing Morales. 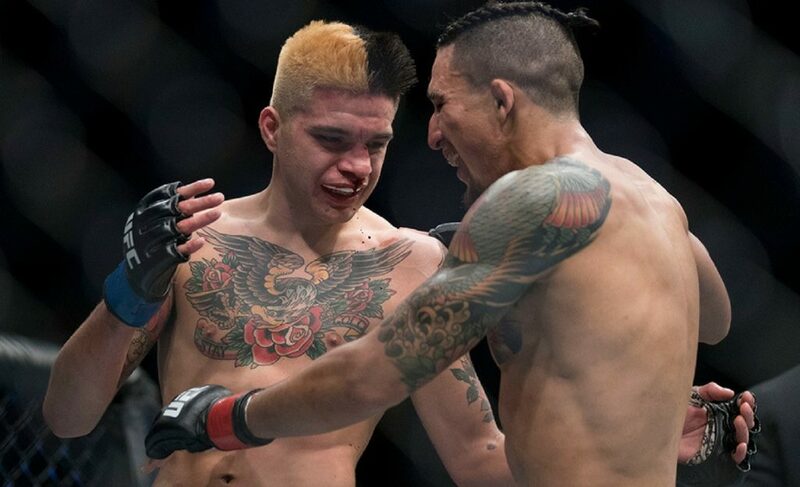 Morales exacerbated the situation by yelling in Lopez’s face for the weigh-ins as Lopez retorted with the physical action that ended up costing him. Regardless of the fine, the contest was unfettered by outside factors as both fighters put it all one the line for 15 minutes. It’s the kind of fight that both parties walk away from as the victor. At one point, Benito mentioned he landed a flush head kick in the third round, Morales kept walking forward and Lopez had to give him respect for being the ‘Warrior’ that he is. Lopez went on to get his hand raised in a well-earned decision, as they both enjoyed the spoils, and some pizza, after the fight. With more success comes even more prosperity for Benito and his loved ones. Benito took to Twitter last week to show his early Christmas gift for his grandma who raised him. Every up-and-coming fighter dreams of one day spoiling their loved ones in order to pay back all those years of care and devotion they were shown on their way to the top, and Benito is leading by example. Benito agreed with the notion of a ‘pack mentality’ at TAM. Every fighter pushing one another to be the best they can be. After Josh Emmett’s miraculous win last weekend over Ricardo Lamas, it’s obvious that the methods and hard work being put in place is working positively for most of the talent there. While Benito couldn’t definitively give a timeline of his return to the octagon in 2018 (pending nose injury), if all goes according to plan he will be back in time for a March or April return. Benito Lopez’s journey within the UFC is only just getting started. At just 23 years old, there’s no telling where the ceiling is for Benito when it comes to his exploits within the cage. As his team continues to rack up wins over big name opponents, Lopez will only feel obliged to follow suit with bigger performances of his own. English Student at Rollins College with a passion for all things combat sports. Mixed martial arts isn't just entertainment; it's an art form.